Vodafone Ireland has selected SysMech to provide operational intelligence across all quad-play services, providing an end-to-end view of the entire network from one application. 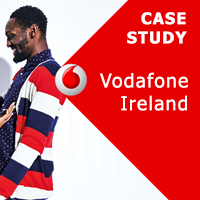 Take a look at the Vodafone Ireland case study. Vodafone Ireland has introduced new products and services to drive additional revenue, but, by definition, they cause a step away from existing skills and systems, and introduce an extra level of complexity and change to the business. The introduction of new products and services increases the scale of the data problem directly in proportion to the number of new products and services introduced. That may be linear, but the inter-related data per customer e.g. the interaction of services 1 and 2 as that customer uses them, rises exponentially. The data management problem grows, and that assumes all the data is in one place! A new data management model is essential. Vodafone Ireland chose SysMech’s Zen as its operational intelligence platform to manage all its network centric products and services.